If you are not new to this blog you would already know that I'm an event and wedding planner; and you would also know that my team of industry professionals always aim to transform our clients' dream events into reality. We work to make sure that the logistics of every event is an accurate reflection of the client's theme and style. 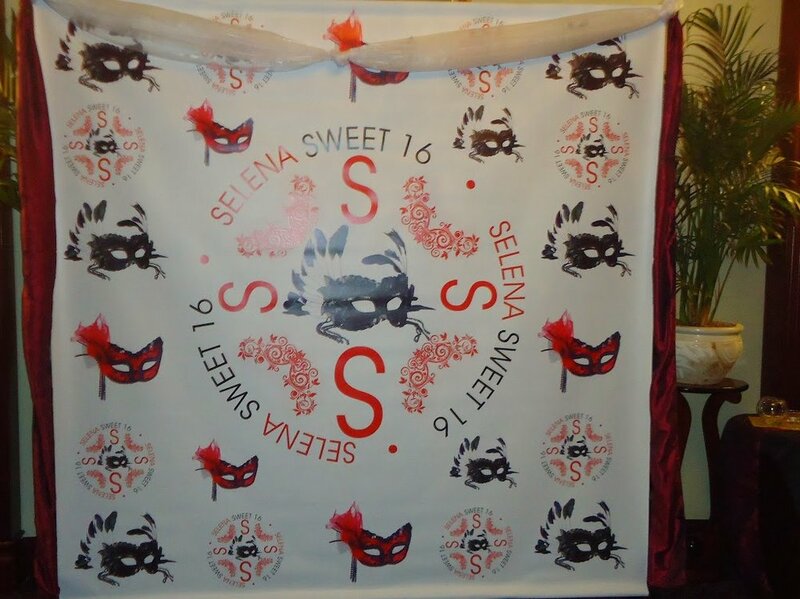 On Friday we executed another "Sweet 16", which turned out to be so beautiful and much fun. 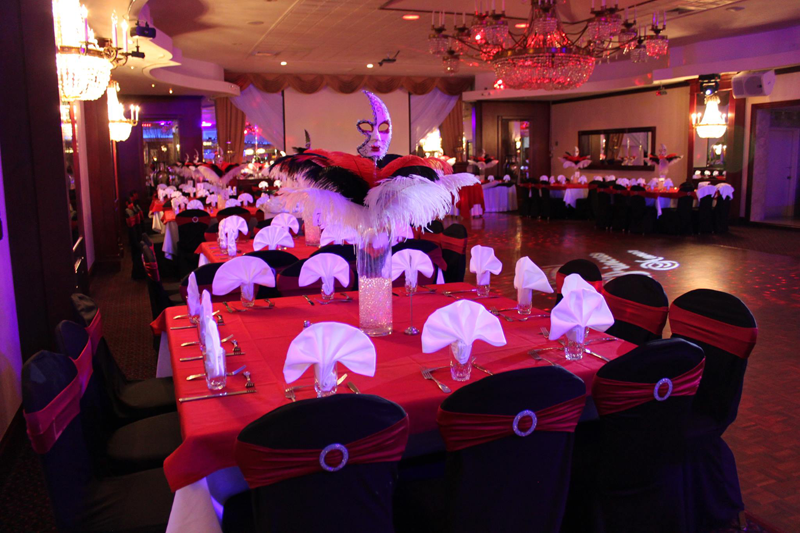 The theme was "Masquerade Ball" with a black, red and white color scheme. The celebration was at Princess Manor a local Brooklyn catering hall, and had a guest count of 200. 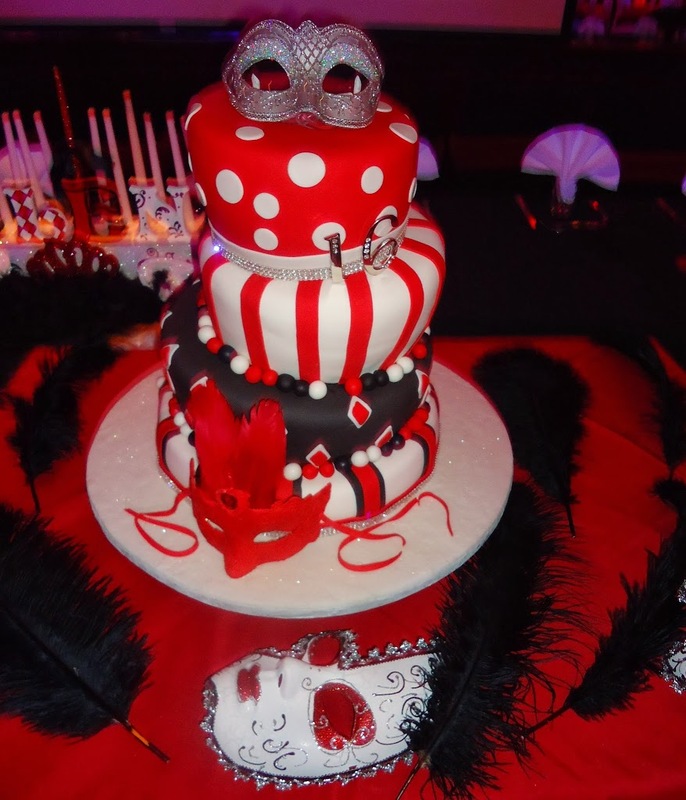 Even though this was a sweet 16 with all the formalities, the client wanted to keep it fun, hip and trendy. The design and decor was built around the centerpieces which were given away to random guests. To help make the guests feel like celebrities, there was a personalized step-and-repeat (photo backdrop) with red carpet and a photographer designated just to photograph the guests as they arrived. Check me out on the red carpet. Don't I look like a star? The guest of honor wore a beautiful white gown and later changed into a red mini dress to match her court. The ladies of the court wore red and black mini dresses filled with crystals on the bustier, while the guys wore black suit with white shirt, red vest, tie and pocket squares. I wish I could've tasted the cake (I'm allergic to eggs, and egg products) which looked so beautiful. The candelabra was also personalized with the guest of honor's name and decked with masks and feathers. If you would like us to plan, design and produce your next event, just drop me a message in the comment box below or head over to over event site here.